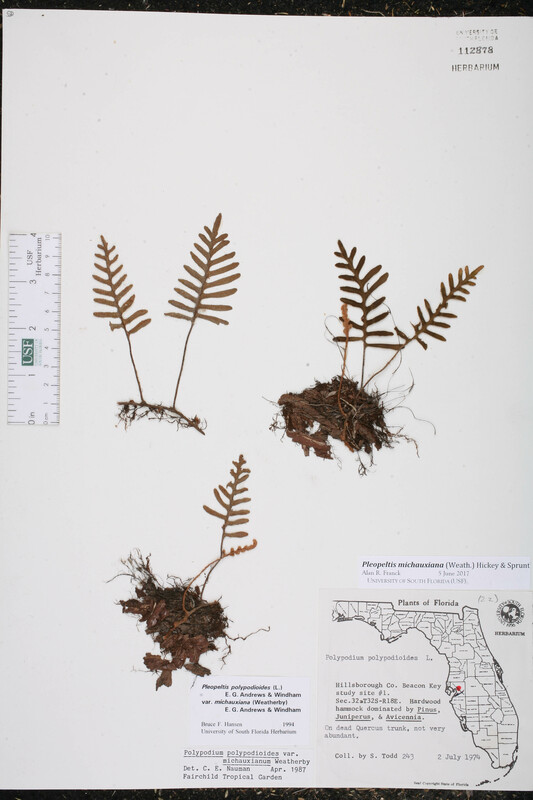 Locality: United States, Florida, Hillsborough Co., Beacon Key, study site #1. T32S, R18E, Sec. 32. Habitat: Hardwood hammock, dominated by Pinus, Juniperus, and Avicennia.